So I’m admittedly out of my element right now, climate-wise that is. Being California born and raised, it’s a definite challenge for me early February in Boston as I write this. I traveled out here for a conference where I spoke about the “do’s and mostly don’t s” when offering passport photo services. I was asked by an attendee if we had a chart of each country’s passport sizes. 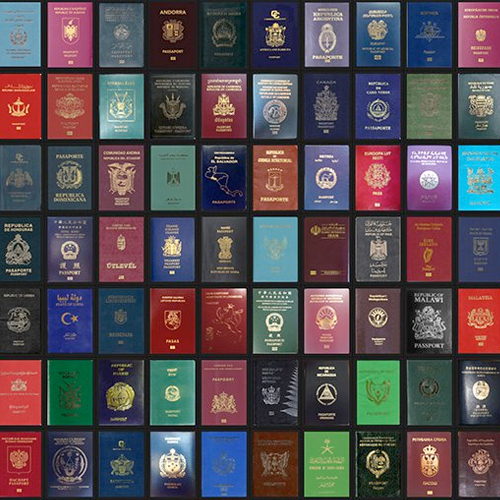 While we mostly focus on USA passports and all of that international is available online from various websites, we figured it could be a great resource for some of our customers who get a larger mix of international clients. Below is a chart that we’ve assembled showing several country’s passport sizes and basic requirements. While not comprehensive for all countries, it’s still a list that may one day come in handy. Do you have a country you’d like to see not listed here? Got ideas on any other tips you’d like to see? Please let us know in the comments below. October 2017 Newsletter: It’s A Passport-Polooza! 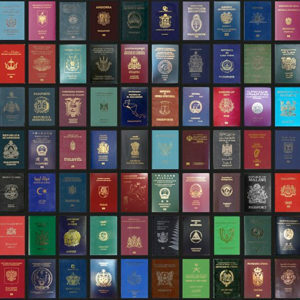 October 2017 has been declared by us at CFS as Passport-Polooza! Our latest blog post explains what to check if you Canon Passport Camera is not powering on. Our latest tutorial video shows how to brighten the background of your passport photos. As for October’s special, well, we’re including a free 100 pack of passport folders with every digital passport photo system purchased. As always, you can view our complete newsletter by simply clicking the image below. 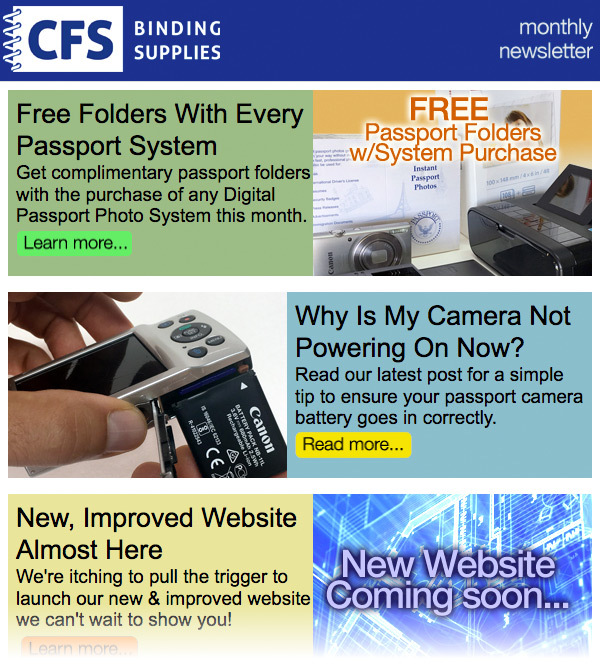 If you’d like to get CFS news and helpful tips in your inbox once a month, all you have to do is enter your email address into the form field located at the upper right of this page and click SUBSCRIBE ME. Have you printed passport photos on your Sony photo printer only to have trouble lining them up in your passport photo cutter? Maybe you’ve taken scissors top the printed sheet or placed it in a cutter trim off some of the margin. Well, in most cases there is an easier and quicker solution. All you need to do is remove the perforated leader strips at the shorter end of the sheet. Bend the ends to snap the perforation and then just tear them off. Now insert the short end into your Tabletop Passport Cutter and you should be able to line the photo up perfectly in the cutter window. You can watch it for yourself in our Quick Tip video below. 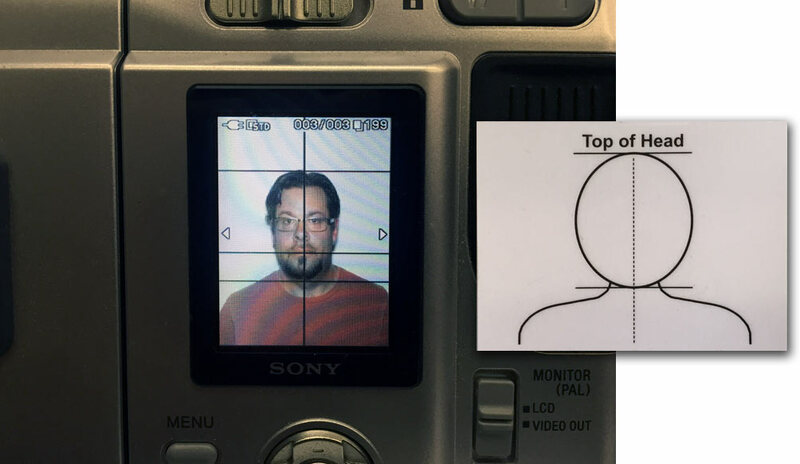 Will The Passport Head Sizer Guide Decal Work With My Sony Camera? We have seen a handful of orders come in for the Sony UPX-C200 passport systems with our Passport Head Sizer Shooting Guide Decal. While the the the decal is a very handy tool, it really is designed for point & shoot cameras equipped with wider/landscape formatted LCD screens. The Sony passport camera features a taller, portrait formatted screen and the decal will not work on this. Also, the size of the head and shoulders outline on the decal is much larger that what should appear on the Sony screen. All hope for composing consistently perfect passport photos on the the the Sony is not lost. 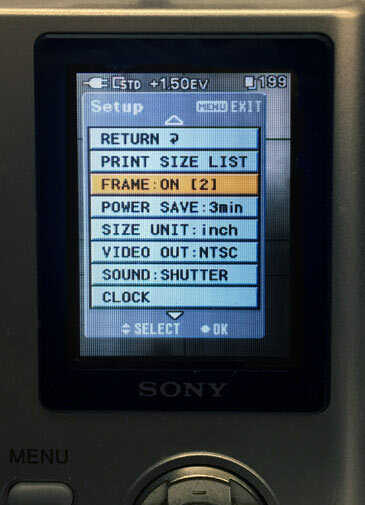 By going into the setup mode on the Sony, on screen guidelines can be activated to show. These lines allow you to properly size and align the heads and shoulders for each person, ensuring perfect prints every time. This will help you to produce exactly what is needed by the State Department for your customers. To further aid you check out our 8 Requirements For A Proper Passport Photo blog post. Do you have any of your own tips for shooting perfect passport photos? Please share in the comments below. We have been taking in quite a bit of used equipment from one of our larger customers that is closing several stores across the country. One of the product types that we have seen quite a bit of is passport photo equipment, specifically used heavy duty passport photo cutters. 1. 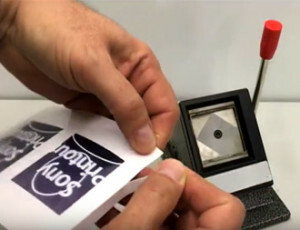 Slide your 4×6″ printed sheet into the slot of the cutter. 2. Position the photo so there is no blank space showing. 3. Press down on the lever to make the cut. 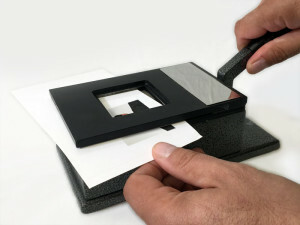 Your perfectly square, 2×2 inch photo pops right out! Best of all, the used cutters that we have are just $50 with free shipping – get more details here. Do you have any questions about taking digital passport photos? Please ask in the comments below, we’d love to hear from you.